Could you use a little pick-me-up? If you’re a little down in the dumps or battling those winter blues, I have some good news for you. You can increase your happiness with the power of food. That’s it. No prescription. No pills. No side effects. Just healthy, feel good foods that are proven to combat depression and boost your mood. What I love about using food as medicine is that you’re committing to a lifestyle change. This isn’t a temporary “quick fix.” When enjoyed regularly, the foods on this list can help promote a long-term increase in happiness. Just having a good reason to eat it is enough to bring on the happiness. It not only tastes good, but instantly boosts your mood and makes you feel more vibrant and energized! Eating small amounts of dark chocolate (about 1.4 ounces) a few times a week reduces cortisol and other stress hormones. 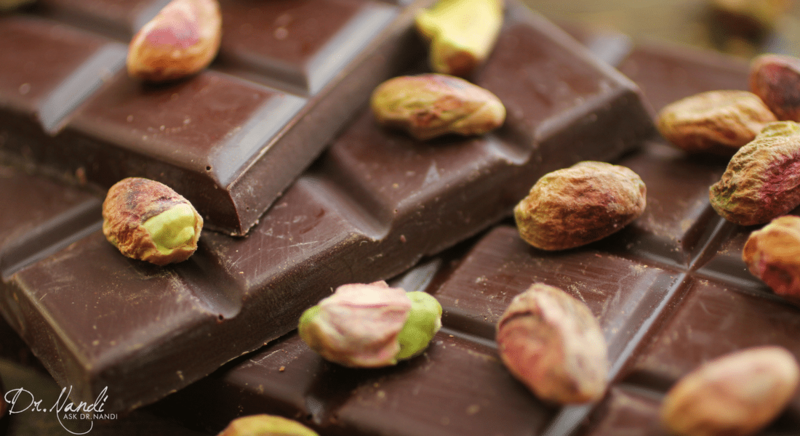 Skip the sugary milk chocolate and go for the darkest organic chocolate you can find. If you’re an athlete, grab an occasional glass of chocolate milk. 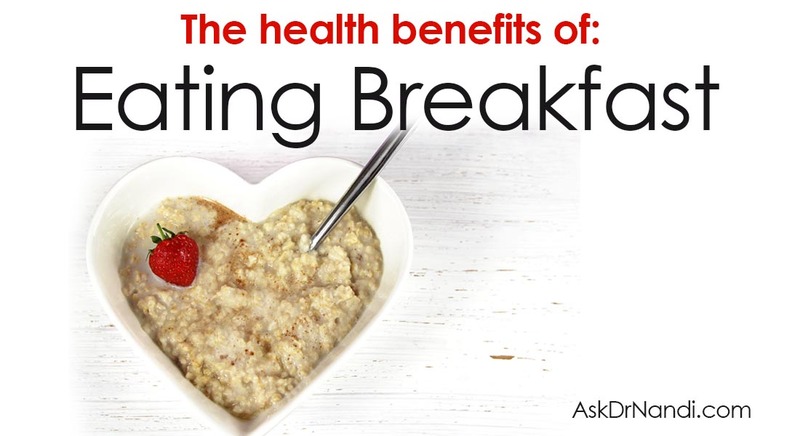 It provides a great protein/carbohydrate combination that helps you recover after intense workouts and improves your mental and physical performance. There can be too much of a good thing, so remember that your nutrition is all about balance and moderation. Making smart choices and maintaining that balance will keep you healthy and happy! This is a big one! Many people assume that if they’re feeling down, they need to significantly increase their protein intake to feel better. This is not recommended. Too much protein is actually detrimental to your mood (hello, grouchy and irritable!) and can cause serious health concerns. To safely boost your mood, aim for a balance of some protein mixed with complex carbs (oatmeal, brown rice, quinoa, etc.). This combination is what your brain needs to stimulate the production of serotonin – that all-important mood-regulating hormone. This is the perfect combo for those cold, dark winter months when we tend to feel a little blue and crave carbs. Whip up a great meal with your tribe and feed your soul! 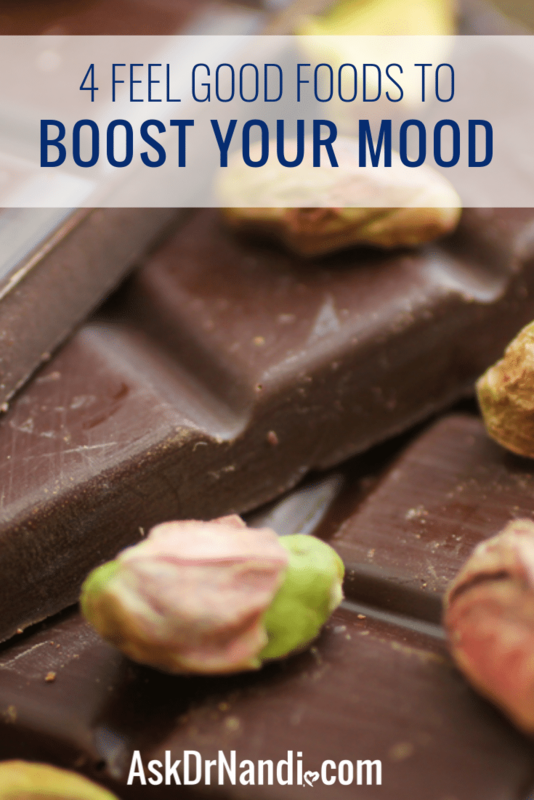 These foods do wonders for your mood! They give it a real boost and help keep depression away. They can also help lower your risk for heart disease, reduce inflammation and regulate neurological function. Omega-3s increase dopamine – the neurotransmitter that helps regulate your brain’s pleasure and reward centers. Some excellent food choices include salmon, flaxseeds, sardines, anchovies, egg yolks, herring, mackerel and tuna. I love how easily we can add these healthy whole foods to our lives! How simple is it to grab a banana or a handful of berries on your way out the door? Broccoli, spinach, and sweet potatoes are so quick and easy to prepare. It’s such a win-win! You get hydrated, energized and a big mood boost with such little effort. Add fruits and veggies to your meal plan for a big psychological payoff. Remember that food is more than just nourishment … it’s medicine. We’re in this together, so let’s encourage each other to enjoy these foods that will bring on the happy and fight the blues. No pharmacy required. Try new things. Incorporate healthy new recipes into your life. Making (and eating!) feel-good meals with your tribe is a great way to bond and have fun. Make a plan. Prepare meals and snacks in advance. You’ll always have something healthy at the ready, which helps keep you stress-free and happy. Excellent information. Thank you for your informative newsletters. I really like and love what you have stated in your (column) messages that inform me more than what i think..it helps me a lot in my lifestyle.such information that i gathered from you Dr.Nandi. again THANK YOU & GODBLESS. Thanks, Dr Nandi. I have personal experience with broken heart syndrome. I had an episode of takotsubo cardiomyopathy. I really thought I was having a heart attack, and so did the doctors and nurses in the emergency department. I had an angiogram, and the cardiologist was very pleased with the condition of my arteries. I am 65 and have been diagnosed with metastasis terminal breast cancer. At the time of this episode, I was under a lot of stress, anxiety, depression and general sadness. I am doing well now, and the heart is almost back to normal. It was good to read that there are lots of foods that can help. I have been consuming some, but there are more that I can now add to my diet. I have avoided chocolate, but found a nice chai latte gives me a nice warm happy feeling. Thanks again, Dr. Nandi, for the very informative article. God Bless.